Achieving the right kind of BALANCE is Essential in life. Some of us get too involved in our extremes that we tend to forget about how important it is to strike a balance in everything. I observe this in people who are so passionate about their jobs that they forget to eat, forget to hydrate, ignore exercises and therefore, overall lead a very unhealthy lifestyle. When such situations happen, the ‘Me’ element just goes! It is so important to nurture your mind and body by allowing yourself to focus on the things that make you healthy and happy. Sometimes all you need to do is to step back, maybe go for a walk at the park, meditate, stretch or just breathe. Or; sometimes you need to meet new friends, sip that glass of wine or even indulge in a cheat meal. A cheat meal is not so bad if you are a person who is very careful about their diet so it’s ok to eat the ‘bad’ stuff once in a while as this is called: Balance! When you balance your life, it essentially means you are adopting some form of ‘Control’ which is why you often notice these 2 words – ‘Balance’ & ‘Control’ complementing each other a lot of the times. You can control yourself on certain things however, occasionally, it is healthy to ease off and let go in order to support your emotions. Over-controlling yourself is also not too healthy as this would mean going towards an extreme. Balancing your life is one major aspect, however, an important aspect which I would like to emphasize on is the MUSCULAR balance that one must have on their body. Many fitness studios directly or indirectly offer some sort of ‘muscular balance training’ or ‘muscular balance related exercises’. Notice how I am highlighting the word, ‘Muscular’ as studios do not necessarily train you on how to balance on one leg; they teach you how to strengthen your muscles to balance your entire body! Clearly, there are reasons for this! A study concluded that individuals who participated in muscular balance related exercises had higher cognitive benefits than those who didn’t. Take a simple example: When you stand on one foot for a few minutes; your whole mind, attention and focus is given to standing on that one foot that you forget other things in that short period of time. Now imagine doing the muscular balance related exercises which would definitely involve far more focused effort and concentration! In Pilates, we focus on Striking a MUSCULAR Balance because we are dwelling on the deeper as well as weaker muscles. Improving your muscular balance does not happen in one day; it becomes better and better overtime with regular and focused muscular balance related exercises. Historically, Joseph Pilates focused one aspect of his training and rehabilitation related movements on ballet dancers who had to sustain their muscular balance, strength, mobility and posture to perform well. Therefore, we can conclude that one of the origins of muscular balance related exercises came from Joseph’s teachings with the support of the Mat, Reformer, Cadillac and all the apparatuses he introduced. 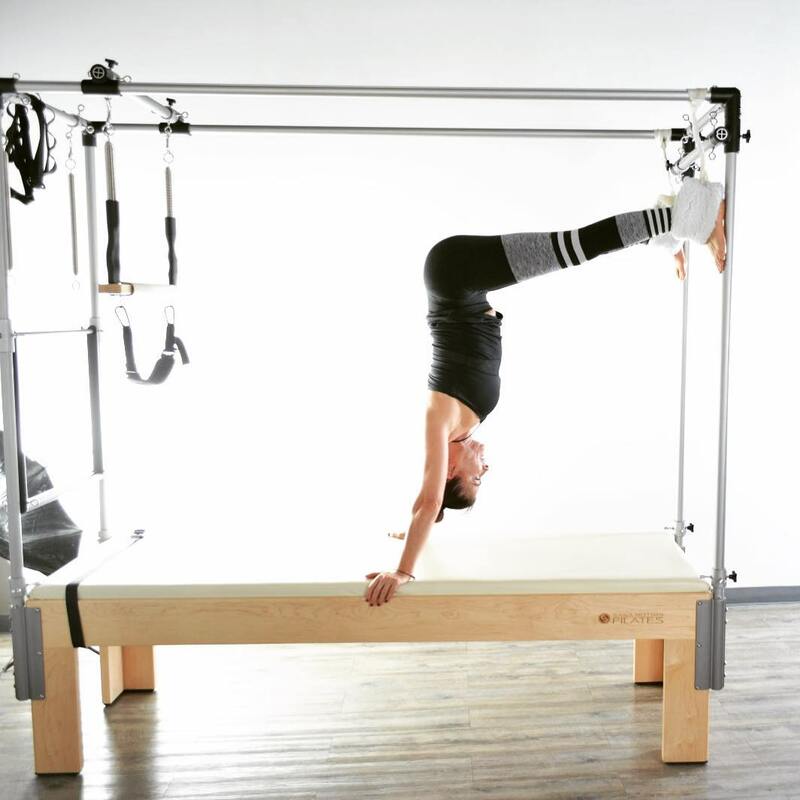 Pilates exercises on these apparatuses improve stabilization of the spine and body. When the core muscles get strong, the spine re-aligns, muscular balance is therefore improved as well as control. 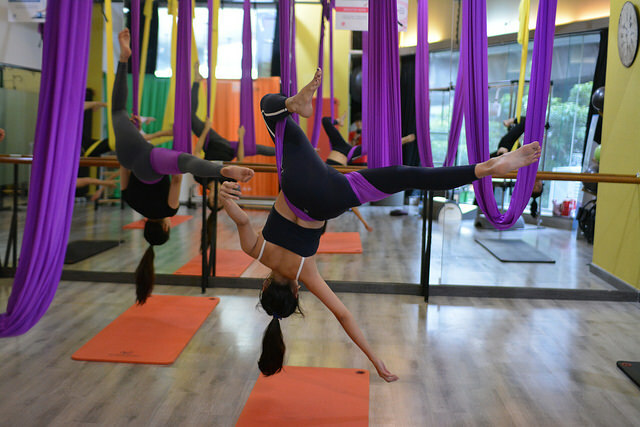 When you practice Pilates regularly, one of the earliest improvements you will notice is being able to practice the muscular balance-related exercises on the various apparatuses much more effectively than before. A research concluded that mat-based Pilates exercises done 3 x 12 weeks improved muscular balance of women. Through Pilates, enhancement of muscular balance improves mobility of the joints and ultimately supports the structure of the spine and overall vertebrae; therefore, individuals are less likely to suffer from arthritis as a result. 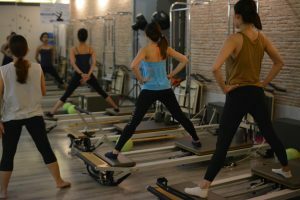 Sana Motion offers Pilates Certifications which teach you how to identify the imbalances and misalignments of yourself and other students through full posture analyses. It is during these parts of the course that you will be able to fully understand and identify where are your strong and weak muscles and then how you should work to improve your overall muscular balance. 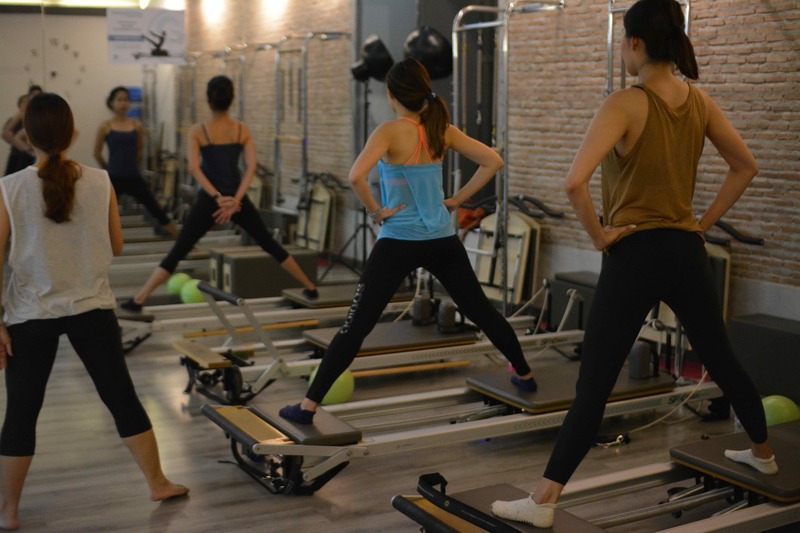 Our Studio in Bangkok (Pilates Station) offers Classes that involve several muscular balance-related exercises as we have witnessed what such exercises can do for our clients and we are committed to educating people on Joseph’s Pilates system as authentically as possible. Being a 2ndGeneration Pilates Master, I feel that I have a rightful duty to pass on the knowledge, experience and wisdom that I have achieved all these years and I’m grateful to be privileged to do so. When our students and customers tell us how their bodies have transformed, that moment is priceless for us. Sana Motion also applies muscular balance-related exercises through Body Barre classes as well as BodyFly Certifications and Classes. BodyFly is a unique curriculum which I developed to combine Pilates, Dance, Aerial Yoga and Acrobatics which involves lots of muscular balance related movements and exercises. Join us now to see the difference!